Being your own boss for many of us is our biggest goal in life. Running your own business can be fun, challenging but very rewarding. Probably if you’re reading this you have done the hard part, you have an original idea or a business plan and you’re ready to go. This can be a scary place to be and can also feel quiet lonely but it doesn’t have to be. You need a drive to succeed but you also need to be realistic and take each phase step by step. When you are starting out everyone has lots of questions and that’s normal. If you don’t have any I would be more worried! Seek good advice and lots of it, don’t take just one persons opinion, speak to as many people as possible. There are lots of great ‘new business’ forums on the internet, where you can chat to others in the same position to you, swap ideas and ask questions. 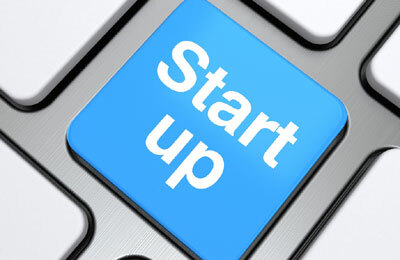 One of the main pushes this year regarding the government has been to encourage people to start up new businesses. Have a look into government schemes, some of these maybe locally based so also narrow your search locally also. Many local governments will give out loans and grants to new businesses and with this they will give you free advice and guidance. Make sure you look into this as they are fantastic and can help you build great links within your local business community. Get an accountant, this may seem like either a very boring or obvious tip for many of you but it is very important. Ask about and find the right one for you. I would advise to seek one that has experience in start up business or small business as it is important that you get specific advice for your current situation. Getting an account from the get go is important as you don’t want that pesky large tax bill on your doorstep. They will give you advice as to what you can and can not tax deduct and will point you in the right direction as to how much you should put aside for tax each month. Marketing your business can be the key to success whatever your business is. There is no point in having the most amazing business if no-one knows about it! Word of mouth is the first thing and the easiest marketing tool. We all have Facebook and Twitter, so get on there and shout about your business. Get family and friends involved, you will be surprised at how much business you can get by simply doing this. There are lots of marketing strategies out there and many of these can be expensive, so remember to spend your money wisely. Think about getting a website for your business, but this can be expensive and time consuming, so seek professional help when looking and work out how cost effective this can be.